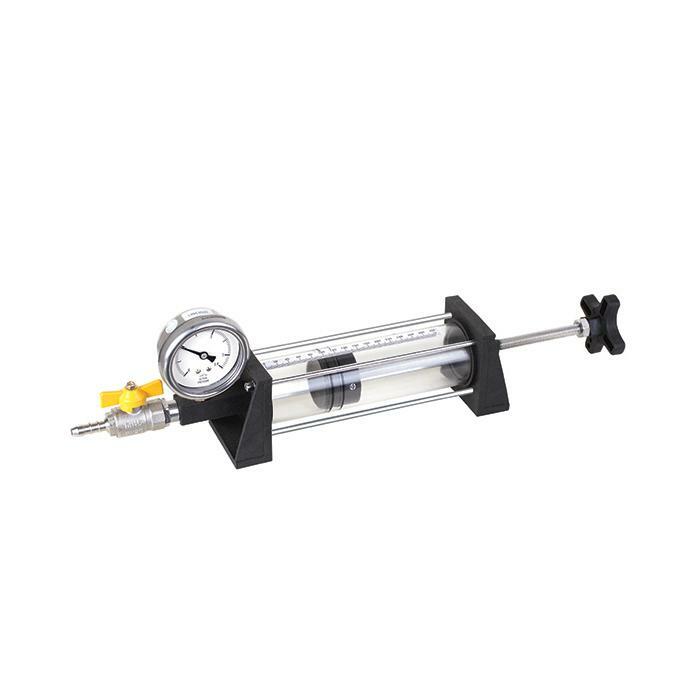 A smaller more economical version gives the better and accurate quantitative results for the Pressure / Volume relationship of air at constant temperature. A graduated (0-300) cm3 cylinder with closely fitting piston is connected to a pressure gauge by a narrow tube to minimize the dead volume is fitted on two side supports. The cylinder is made of transparent material to see the working process inside it. We can adjust the pressure inside the cylinder by rotating the knob connected to the piston via threaded shaft. A gas tap allows the cylinder to communicate with the outside air to adjust the mass of air enclosed. 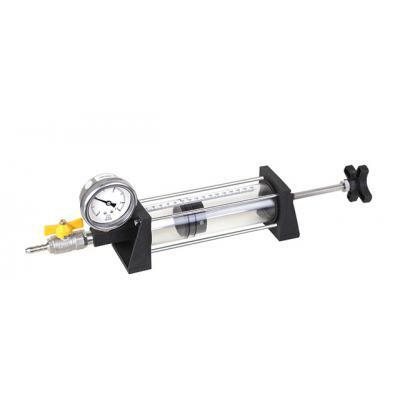 The pressure can directly read out from a big size pressure gauge circular dial, graduated in (0-3.4) x 105 Pa.